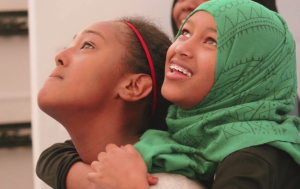 Refugee and immigrant youth face unique challenges. War, displacement, and trauma have often interrupted the educational and social processes for youth and their families. Many refugee and immigrant youth struggle to adjust to a new culture and to overcome traumas experienced in their countries of origin, contributing to low self-esteem, anger and disciplinary issues. Check out our ReWA Youth Program video, from Cabfare productions, on Vimeo. ReWA’s Youth Program is committed to providing high quality, culturally relevant services that develop the whole youth. Our mission is to support students in developing and accomplishing their individual goals so that they perform academically in school, pursue their unique passions and interests, and develop deep feelings of self-worth, belonging, curiosity, and investment in their communities. Through parent education and family advocacy, we empower parents to support their youth. We believe in the importance of youth voice and choice, the need for youth to process and formulate their cultural identities, and the combined efforts of parents, family members, school staff and other community partners. 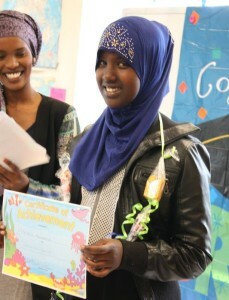 Our vision is a community where all youth – primarily those from refugee, immigrant and low income backgrounds – celebrate and explore their identities, strive to excel academically, prepare for life after adolescence, and share their talents in service to their families, their neighbors, and their world. 1st – 12th Grade After-school programming in five different after-school programs across King County. All programs are grounded in youth leadership development, academic and emotional support for English Language Learner (ELL) students, academic achievement, expression of self through art, civic engagement, and college-bound services. At Franklin High School last fall, ReWA facilitated a Democracy Institute where students read Martin Luther King Jr.’s Letter from a Birmingham Jail. After reading King’s powerful words, the youth felt inspired to share their own experiences with injustice, recorded and compiled by their teacher in a newsletter, which they distributed at the MLK Day march. Targeted ELL academic interventions geared at developing reading comprehension skills, vocabulary, and writing skills. Youth Job Readiness Training for a cohort of 25 immigrant and refugee youth that includes job search and resume building skills, service learning opportunities, college tours, and internship placements local businesses. Parent workshops and home visits that build connections between families and schools, while fostering parent engagement in the schools their children attend. ReWA also helps families understand the education system, rights and resources available for ELL students, and post-secondary options as outlined by their children in their Student Individual Plan. ReWA recently awarded 8 scholarships to PSSP students. Read more here! The Youth Program utilizes the nationally standardized Youth Program Quality Assessment (YPQA) to assess and improve program quality. The assessment is used by staff to create a safe and supportive environment, increase student interaction opportunities, and encourage student engagement. All of these elements have been shown to improve student success in an after-school program environment.